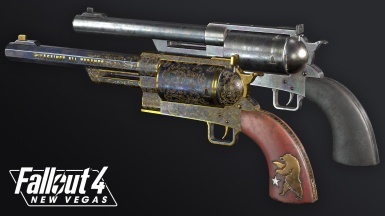 The Hunting Revolver and unique variant, the Ranger Sequoia, return to the wasteland from Fallout: New Vegas, along with a host of new modifications. 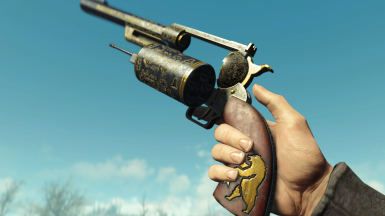 Hunting revolver by TheRizzler1 - TRAD FR Vous devez impérativement installer le mod original en premier. Lisez la page d'accueil de ma traduction pour plus d'informations. 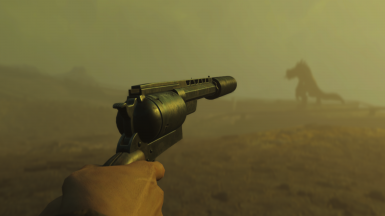 This mod adds remastered and expanded versions of the Hunting Revolver and Ranger Sequoia, originally seen in Fallout: New Vegas. Featuring custom animations, custom sounds and loot integration, this is a comprehensive standalone weapon mod. 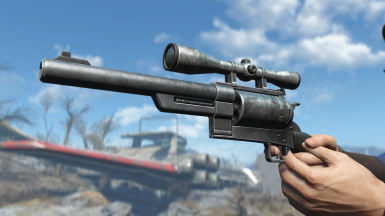 By default, the Hunting Revolver and Ranger Sequoia use the .44 ammo type, however the F:NV versions and their real life inspiration use .45-70, so if you have the Far Harbour DLC, please download the non-vanilla version. They both hold 5 rounds. 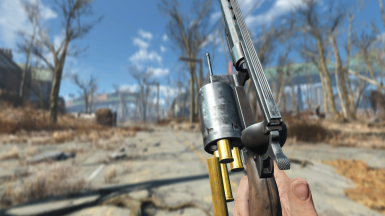 In terms of modifications, the Hunting Revolver has a receiver upgrade chain similar to the vanilla 44 revolver, along with several grip, scope, barrel and muzzle options. The Ranger Sequoia cannot be modified, but by default does more damage than a max upgraded Hunting Revolver and reloads faster. 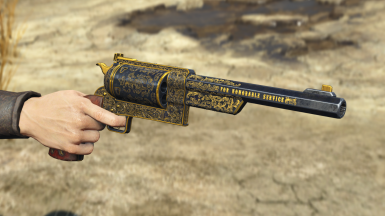 Currently the Hunting Revolver will appear for legendary enemies/in certain loot caches after level 20, and in specialist vendors after level 30 (e.g. KL-E-0 in Goodneighbor). 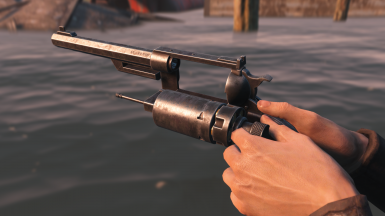 You can also find a Hunting Revolver at the top of the tower in Lynn Woods, and the ranger Sequoia can be found in Kellogg's house behind his bed. 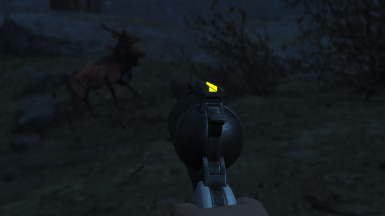 If you are the no-good conniving type and want the weapon straight away, you can open the console and type "help hunting 4 weap" or "help ranger 4 weap" without quotes, take note of the code that appears in brackets next to the ID of the weapon you want, then type "player.additem X" again without quotes where X is that code. I am planning at least one major update for the mod, which will involve one-handed animations and potentially a few more modifications. While developing this mod I recorded the process and have created a 16 part series on almost every aspect of creating a weapon mod from scratch for Fallout 4. That's getting references, modelling and texturing, Creation Kit setup, animation, leveled list scripts and more. If you have an interest in making weapon mods yourself, or are just interested in the process, check it out!